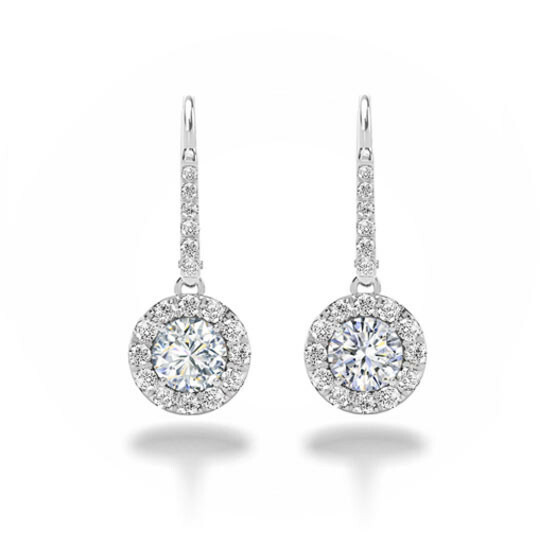 These drop earrings are part of The Center of My Universe collection from Forevermark. A halo of pave-set diamonds encircle the center stone in these 18K white gold. These feminine and elegant earrings offer a fine example of enduring beauty from Forevermark.